If ‘culture eats strategy for breakfast’, as Peter Drucker famously said, executives need to assess if their business culture is capable to deliver on the many strategic initiatives and budget promises. They need to understand if their culture has a growth mindset, effectiveness and ability to commit and conquer challenges. Peer proven psychometric tools like the MTQ48 and Life Styles Inventory do just that. A growth mindset culture, where challenge is good, making mistakes to learn from is accepted, and where work is more important than ability can be created[iii]. Company cultures without features of constructiveness, resilience and a growth mindset will not be able to deliver sustainable success and will struggle to execute a strategy. Cultural transformation and leadership coaching programs can bridge the gap to the culture that is required to execute the strategy. As part of the strategic planning process, executives need to prioritise strategic initiatives and redistribute resources accordingly. However, research from 2006 shows that 60% of organizations do not have strategic initiatives in their budget. [iv] It is therefore essential that after a new strategy is signed of, but before any other strategic initiative or capability will be developed, strategy is first integrated in performance and appraisal systems. Additional to the ‘what we do’, executives need to make their culture reset a reality and incorporate the ‘how we do’ things around here. Performance and appraisal settings need to incorporate desired values and behaviours employee’s need to display day to day. Employees who excel in role modelling the desired values and behaviours will be rewarded and over time a cultural reset will be established. According to McKinsey, “one important capability that companies must develop … is rolling forecasting and budgeting”. [vi] Business plans are usually updated and aligned only yearly during strategy or budget time. Rolling forecast and budget capability however, aligns business plans monthly or quarterly in a structured way. This provides the opportunity for leaders to get executional feedback and have a continuous pulse check against their budget and strategic initiatives. A horizontal business process like Sales and Operations Planning (S&OP), which found its origin in manufacturing in the 80’s, is well matured now in different industries and can be used as a basis for rolling forecast and budget capability. The advantages of well executed periodic rolling forecast are evident. It will provide periodic visibility in progress against strategy and budget and business assessments in risks and opportunities. In reality year on year resource allocations stay similar for well over 90%. [vii] A rolling budget however, also provides opportunity for ongoing reviews of resource allocation. It periodically aligns the business across strategy, budget, resources and execution. Depending on the industry, different types of rolling budget processes can be implemented. What has to be common across all industries is that for rolling budgeting to be successful, the most senior leaders need to run this planning process. Research suggests that information flow is the strongest contributor to good strategy execution. [viii] Cultural reset, transformed performance and appraisal systems and a rolling budget are great inputs to have serious and targeted conversation with employees and let the information flow. 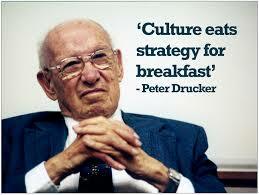 A cultural reset provides the opportunity to share information on values and behaviours. This can happen during performance meetings, but ideally as a day to day practice. The output of a rolling budget review provides an ongoing opportunity to inform employees on strategic initiatives, gaps to budget, resource allocation and strategy execution. An internal communication strategy to address the right stakeholders with the right information through the right channel at the right time can have a powerful impact and keep employees engaged with the business in a structured way. When designing an internal communication strategy leaders have to realize that; ‘smart leaders today, engage with employees in a way that resamples an ordinary person to person conversation more than it does a series of commands from on high.’[ix] Senior leaders can provide additional personalized commentary on business status through blogs to create more intimacy and inclusion. Last but not least round tables, awareness sessions and engagement surveys can be used to listen and get direct information feedback from employees. All four themes will require leadership vision, courage and vulnerability to tackle the sometimes tough cultural problems and drive change to create new capability. It will require planning, discipline in execution and potentially years of continuous improvement to get to a desired state. However, when companies start tackling these four key themes, they will build the foundation for strong organizational strategy to execution capability. Previous Previous post: The main reason why S&OP implementations fail! The main reason why S&OP implementations fail!